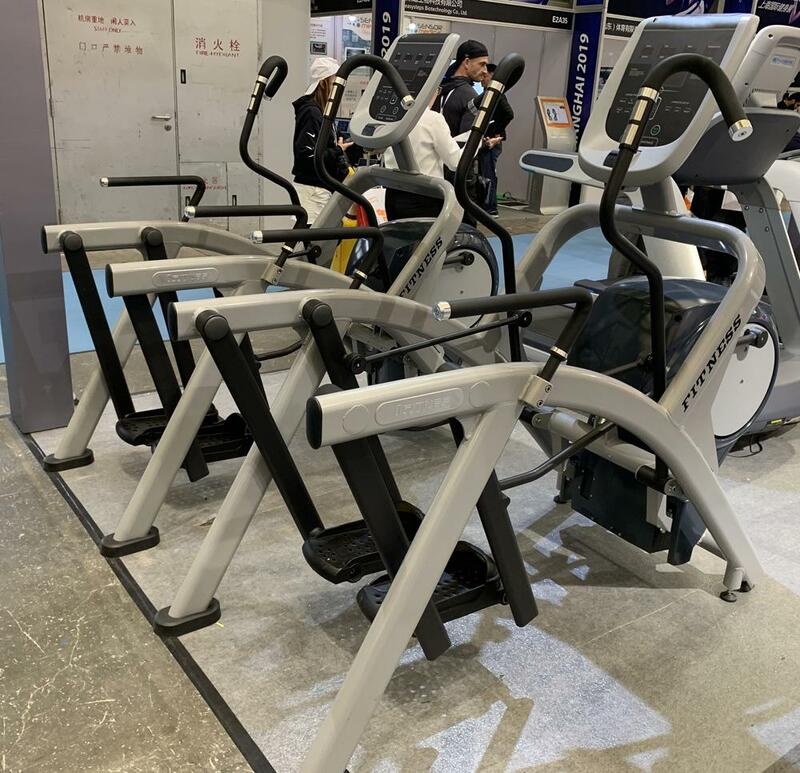 The Cybex 525AT Arc Trainer offers broad incline and resistance ranges to do the work of three fitness machines in one. At lower incline levels, the "glide" is a cross country skier. In the mid-range levels, the motion is a "stride" like a standard elliptical. At the high levels, it's the "climb" of a stepper or climber. 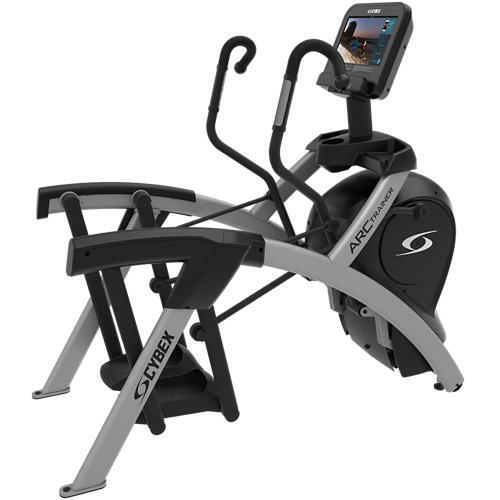 The easy-to-use, centralized console designed provides an intuitive, accessible layout for users in managed and unsupervised fitness environments. Adaptive power is ideal for interval training and power training because it lets exercisers target high watt outputs. As speed increases so does resistance, which means that power output rapidly increases. 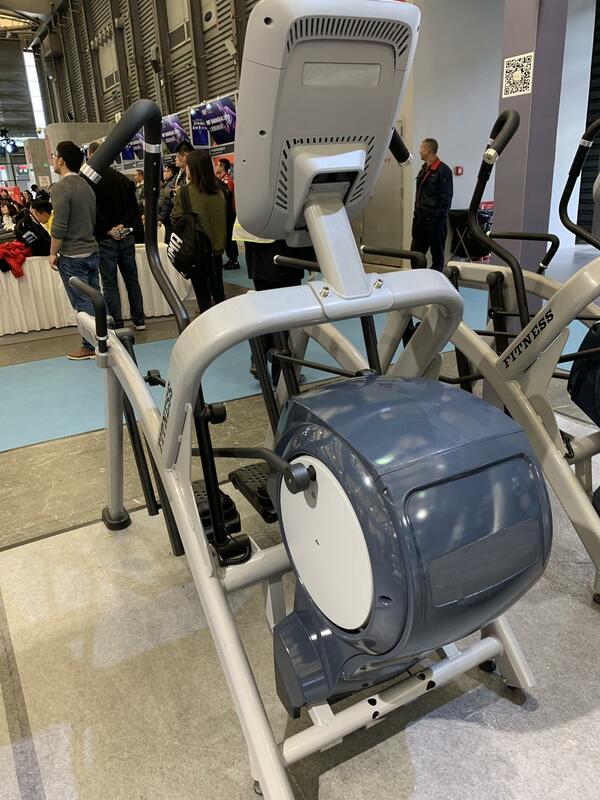 Optional internet connection allows for use of the Halo Fitness Cloud, a powerful digital tool makes day-to-day business easier, streamlines preventive maintenance and creates more meaningful interactions with exercisers. 15) Workouts : Quick Start (Manual mode), three weight loss, three cardio, two strength; Workouts have 10 levels and controls both incline and resistance. 16) Heart Rate Monitoring : Contact and wireless. HR light indicator is multi colored with different color light for specific target heart rate zones.